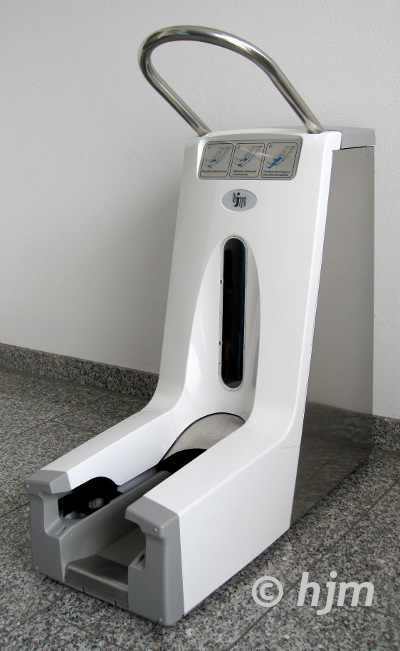 With this automatic shoe cover dispenser, employee and visitors are able to cover overshoes quick and easily. Clean storage of overshoes at locks and entrance areas is a further advantage. The fill stand is visible and filling of the dispenser is very easy. For easy moving, the shoe cover dispenser will be deliverd with 2 rolls on the back. 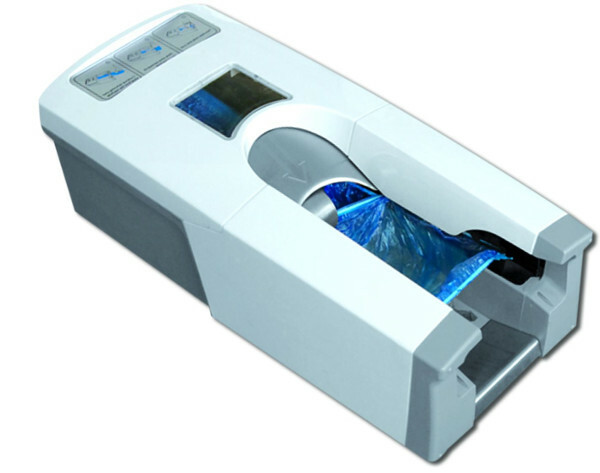 DISP8099500 Shoe cover dispenser: Made of stainless steel 1 pc. 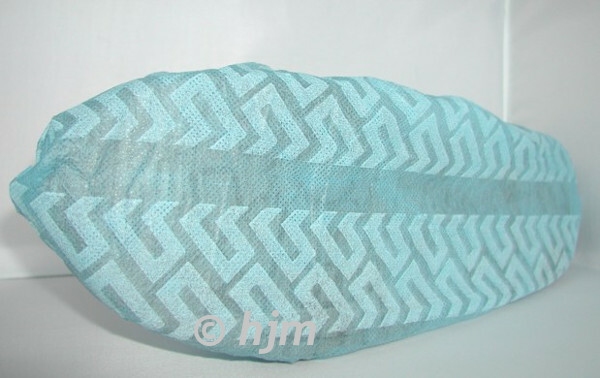 DISP8099500K Shoe cover dispenser: Small version 1 pc. 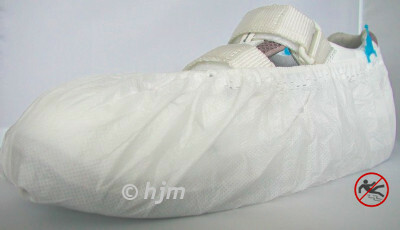 EÜS-DISP-SAS Shoe cover SAS: Anti-slip, PP coated sole White 800 pc. 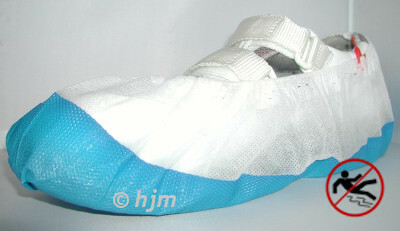 EÜS-DISP-PE-L Shoe cover PE: Thinn but tear resistant, made of PE Blue 1.100 pc. 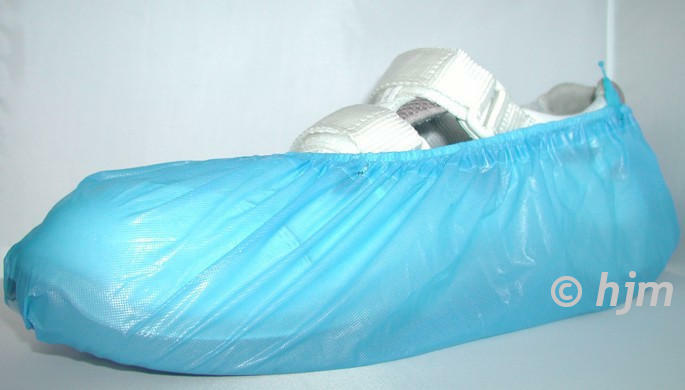 EÜS-DISP-PPS Shoe cover PPS: Made of PP non-woven, anti-slip Blue 1.000 pc.